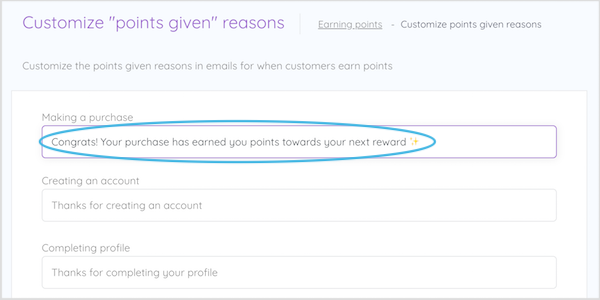 Customize or translate the reasons that points are given, shown in your Earned Points email notifications. 🔓 Loyalty emails are unlocked on the Marsello Pro Plan. 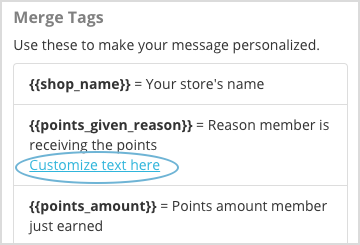 Update the default points given reason merge tag text that is given in Earned Points email notifications. This is a great way to add your own personalized copy or translate the messages into your preferred language.